Fangirls, for the past couple of weeks I have been running myself ragged. I had 5 final projects to do, had to prepare for graduation, and get ready to go to Walt Disney World (which I’m still working on). Throw in work and regular life stressors, and I wasn’t getting any down time. So I bought myself a bit of a treat; Lego Marvel Superheroes for XBOX 360, in hopes that sometime soon I would be able to relax and play through it. I’m so glad this it the game I chose to wind down with. Like all Lego video games, it’s fun and interesting, with a bit of a challenge. It’s the perfect type of game for me; I can beat it in a couple days, but it takes me awhile to 100% it, and that’s great because it gives me more to do. It has some challenges, but nothing I can’t handle. 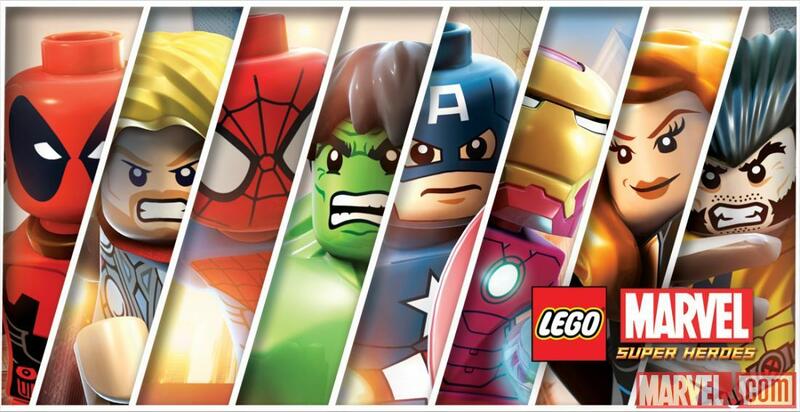 Lego Marvel Superheroes follows all of the good guys of Marvel as they attempt to bring down all of their villains (who are mysteriously working together with some cosmic cubes). After defeating all but Loki, you learn that Loki’s goal was for you (the heroes) to get rid of his fellow baddies so he could have the glory of controlling Galactus to himself. In the end, heroes and villains work together to defeat Loki and Galactus. This game is neat because it’s not just the Avengers (who have taken center stage at Marvel), but it’s also the X-Men, the Fantastic Four, and Spider-Man. Each mission is introduced by Maria Hill, and it’s a good time for all. If you’re looking for a relatively simple game to wind down with, I definitely recommend Lego Marvel Superheroes. It’s not the newest game, so it’s quite inexpensive ($14.98 at Walmart). It’s fun, capturing the sass of each character appropriately. Go grab yourself a copy and save the world, Fangirls!